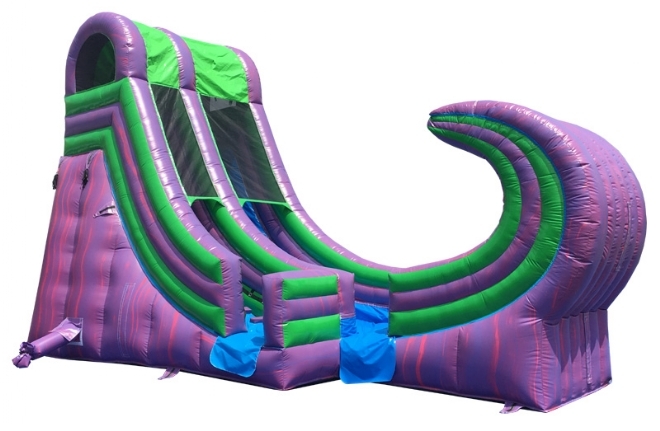 Our 19' Purple Curl Slide is an exciting addition to any event. The kids slide down one at a time and are slowed down when they go up the curl. Similar to many of our products, the Purple Curl is very unique and not found at most other companies. This slide can be used wet or dry. An additional fee is charged if used as a water slide.